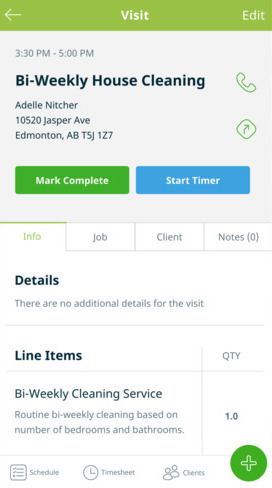 Jobber helps home service businesses quote, schedule, invoice, and get paid — faster. Jobber is field service management software that provides the most efficient way to organize visit scheduling, quotes, invoicing, billing and your team. Getting reviews is tough, connect NiceJob to Jobber and it becomes really easy. Everytime a job closes in Jobber, your customer will be automatically enrolled for a review in NiceJob. We'll detect if your customer hasn't left a review and send them friendly reminders if they're needed. NiceJob's smart review funnel will distribute your reviews on the sites where they'll be most seen. "In one month we increased our reviews by 50%. Can't argue with those results."